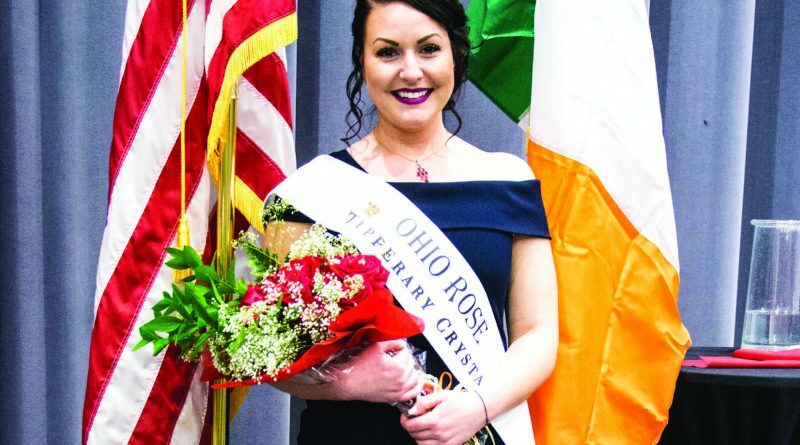 I was just finishing off the buzz from the Ohio Rose Selection Ceremony when March roared in. Neither lion nor lamb was slaughtered in the making of this column. Like February’s resolution, I am determined to not let March roar by either. 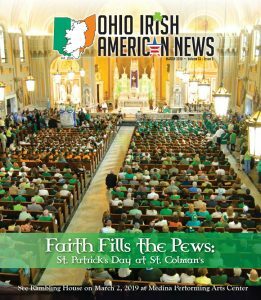 For the first time, we marched as the OhioIANews in the 177th Cleveland St. Patrick’s Day Parade. What a fun way for our columnists and staff to hang out together; we were joined by some of the organizations we are proud to sponsor: Speak Irish Cleveland, Cleveland St. Pat’s/St. Jarlath’s Gaelic Football Club and the Akron Celtic Guards Hurling Club. We feasted like kings and queens, and I will never forget the day surrounded by so many friends, colleagues and supporters of the OhioIANews. We are on a God Blessed roll, and I can’t wait to see what April brings: showers and shows and celebrations and one monster back surgery to roar down the lion pain to a lamb, are in the works for me. May the pain be light, the progress be swift, and the surgery be successful. Danielle (Dee) Goebel was selected as the 2019 Ohio Rose of Tralee, and as is our annual spring tradition, the Rose graces our cover. 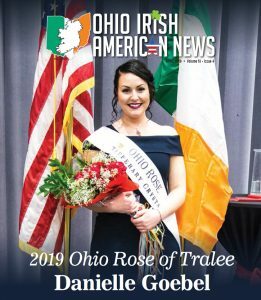 Dee is passionate, gifted and what a fantastic Ambassador for Ohio she will be. If you see her out & about, please say hello and welcome her. You may not know her yet, but you will. She has guts and glitter, humor and sense and a great, generous soul. 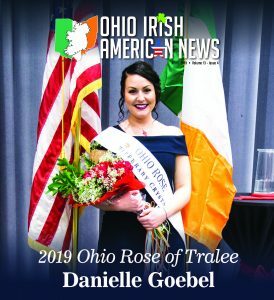 Congratulations Danielle; we look forward to seeing you shine! We welcome new Graphic Artist Brigid Krane, who joins Christine Hahn in our graphic arts department, and New Business Manager Peyton Morris, who will be working with new advertiser accounts. Peyton hails from Co. Galway, and now makes Cleveland his home. We are still looking for three Interns with social media passion and creativity; if you know of a good candidate, please send them my way via jobrien@ohioianews.comor direct them to the employment ad within. How mad was your March? How many memories were added to your bank? 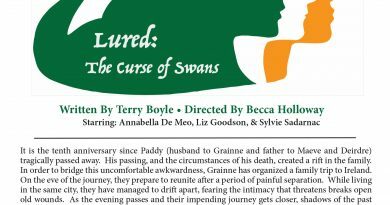 Sing Irishmen, Sing seems to resound more in March. The rest of the year may not be St. 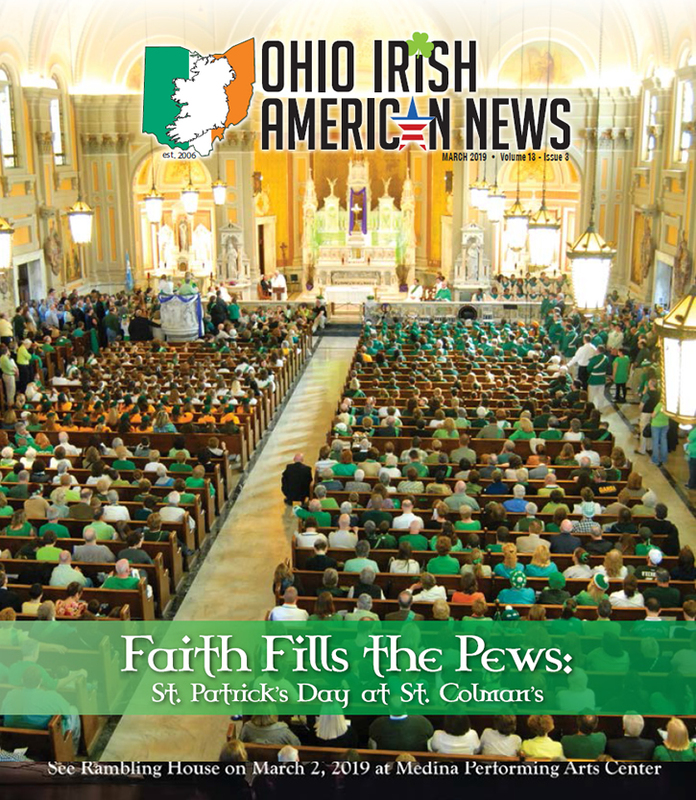 Practice Day, but the flame does get reignited with pride every St. Patrick’s Day, and the activities that surround it. 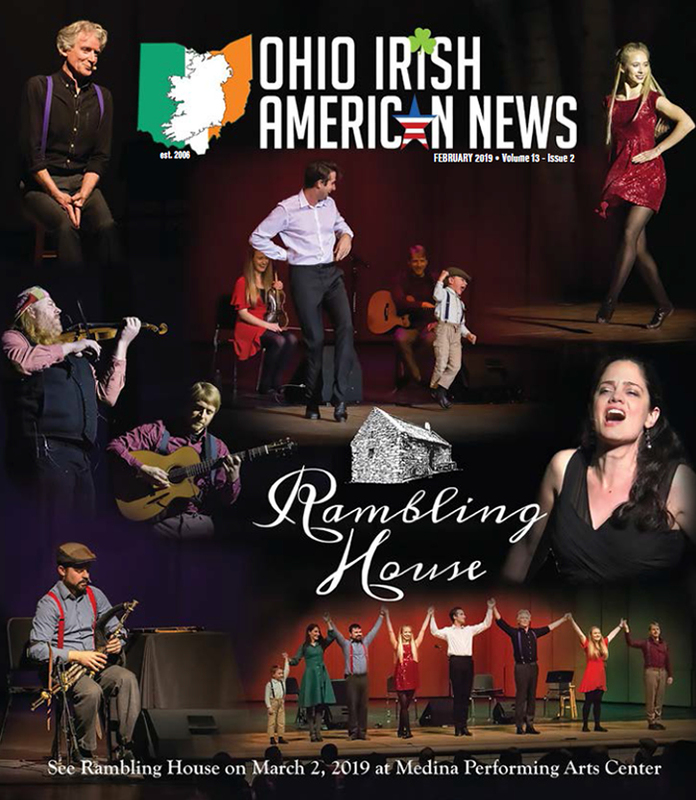 Don’t forget, you can read larger print and see more pictures of all of our stories that run in the paper, and the ones that came in after we went to print too, on our www.ohioianews.comwebsite. All issues are also archived, and ads are interactive; click on them and you will go to the advertiser’s website. Find auld stories too as we build our Storybank, past, present and future. 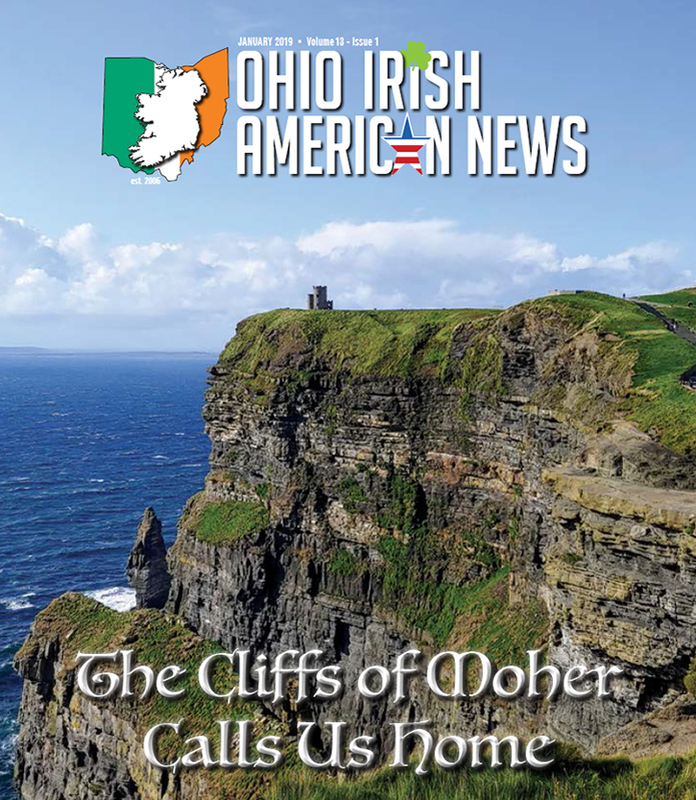 We connect with so many of you on OhioIANews Facebook, Twitter and Instagram, and we follow back too, so reach out!